What to do about covering up the windows?! A couple months after we moved in, we had all the old, single-hung windows replaced and brought to code with new, dual-paned sliding windows. Since that expense took a good chunk out of our initial renovation budget, we simply slapped some temporary paper shades on the new windows for privacy. The term "temporary" is used quite loosely around here! We are long overdue on replacing the paper shades with some real window treatments. This is my initial preference. 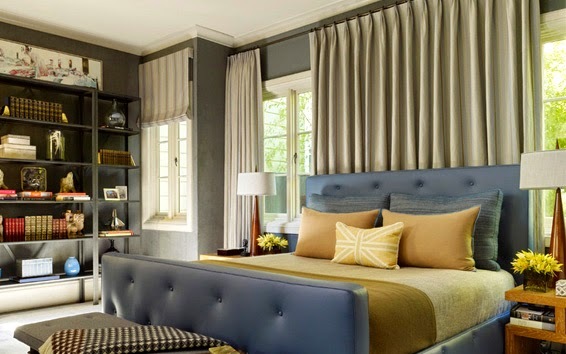 I love layered window treatments, especially the combination of natural textured roman shades with fabric drapery panels. The issue I have is that the boys' bedroom doesn't allow for both to happen. There is shelving on one side of the windows that are in the way - and it's staying put. I guess I could just install natural woven shades (Option #2) or shutters (Option #4) in the boys' bedroom, and skip the drapery panels?! 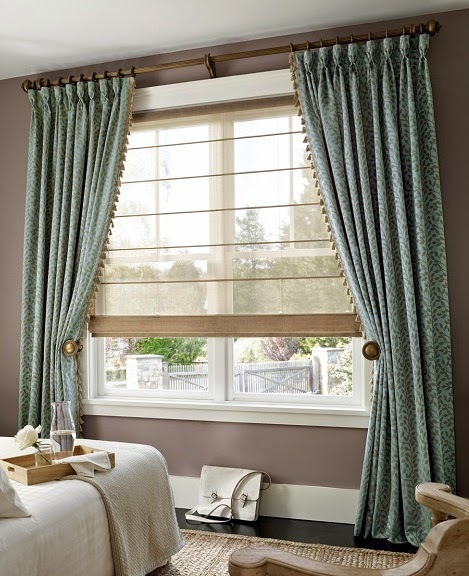 Natural-textured woven shades are a possible option, similar to what was installed in the guest bathroom. 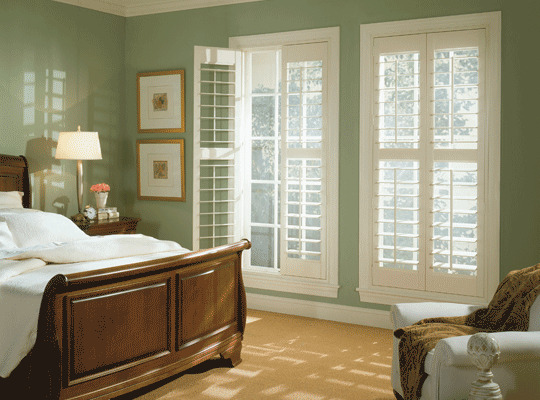 Our windows are not standard size, so they would have to be custom-ordered. This option would add lots of warmth and texture to each room. 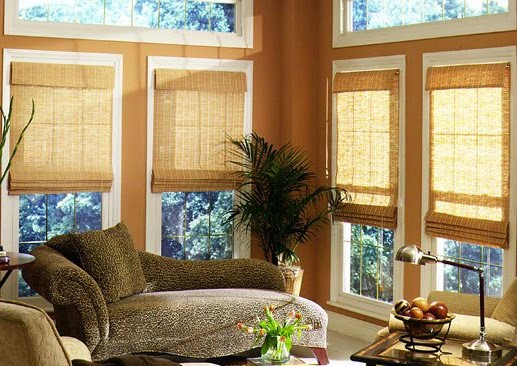 The only issue is that natural woven shades don't provide complete privacy, especially during the evening. This option would be for installing just draperies, but having them all consistently lined with the same "backside". They would bring so much texture, softness, and pattern to each space, but I feel it may look lackluster from the front exterior. Privacy and light filtration would also be somewhat of an issue when the window treatments are pulled open during the daytime. What to do?! Feel free to e-mail me or comment below with any other suggestions for covering up our windows. I welcome the input.